Between my big chop in October 2016 and this January 2017 update, my hair has grown quite a bit. 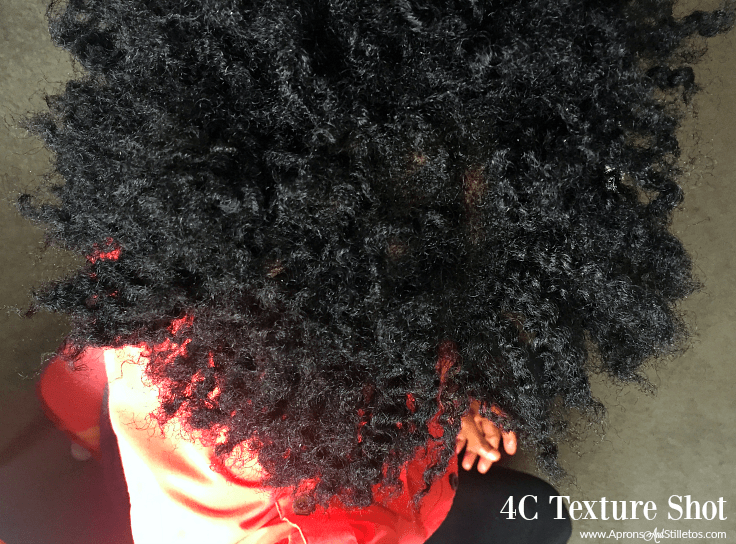 Not only that but 4C hair is super soft, relatively tangle free and healthy. I will share my haircare routine in another post but for today I want to document my growth and what I think is stimulating it. 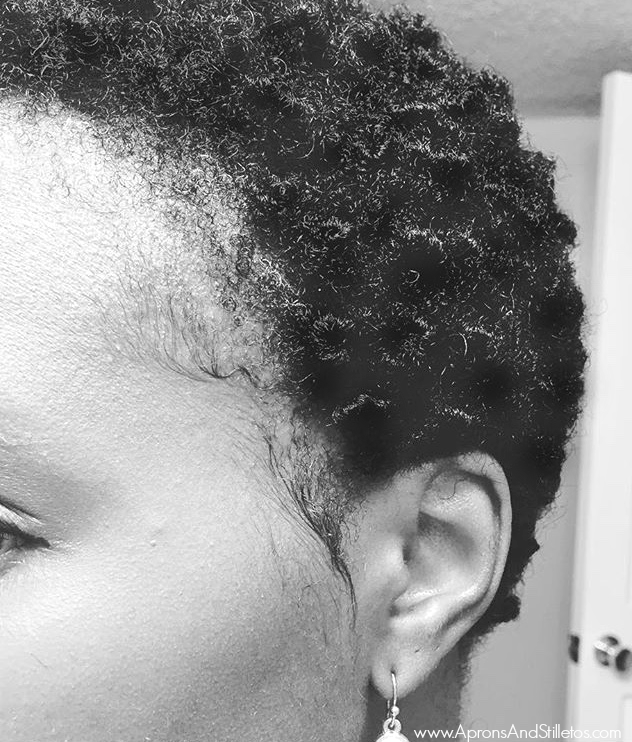 Since my big chop in October, I’ve kept my hair in protective styles with either my own hair or added hair. 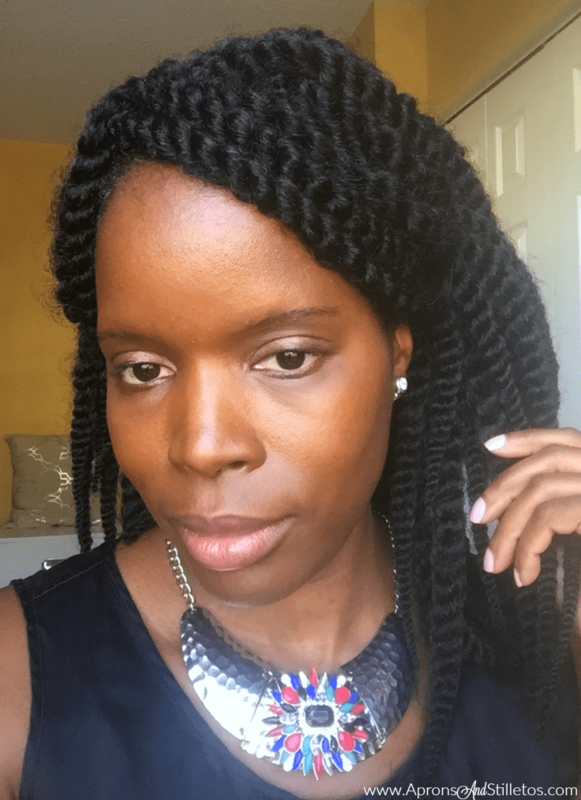 My go to style with added hair has been Crochet braids using the 12″ Jumbo Mambo or Havana Twists. This style is super easy and only takes an hour to install the hair. It’s a great fuss-free style that allows my real hair to rest from manipulation and remain protected from the elements. To maintain this style I mist my scalp every two to three days with a mixture of leave-in conditioner, jojoba oil, and water in a spray bottle. When I’ve worn my own hair in a protective style it was usually flat twists. Each time I braided my hair I left it in for 2-6 weeks. You can see from comparing the length of my hair in October to the length in January, that it’s grown quite a bit. The methods I’ve been using on my hair has kept my coils healthy, soft and bouncy which is what I want. 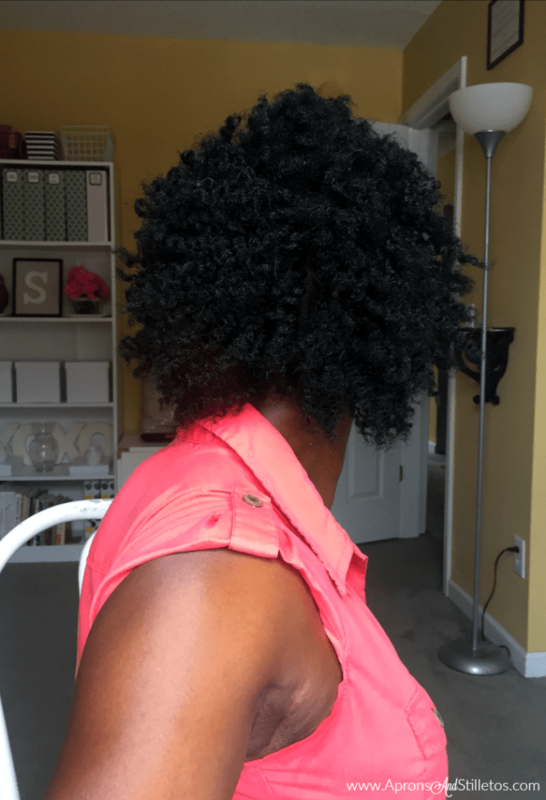 I love sharing my journey for those of you who are natural, considering going natural or just curious about African American hair. If you have questions or comment leave them below! Which of these styles do you like best? Don’t miss a post! Join my exclusive email community and get my updates via email. Not only do you get my post in your inbox, I send out free printables, messages and videos to help you manage your home. I love seeing those who are growing hair naturally. I like styling and makes some experiment on my hair-dos. We have to take care of it since its our crowning glory. Your hair looks great! I don't really ever change up my day to day style. I dye and bleach my hair alot but I make sure to use really good conditioning masks. I don't know if I'd ever be brave enough to chop my hair that short. Your hair is absolutely gorgeous! And it grows fast!! …mine takes forever to grow!! Your hair looks so pretty. I will be chopping mine in the next few months. Wow your hair grows fairly quickly! This was so interesting to read because I have a completely different relationship with my own hair. I dye my hair a lot of I feel like my hair doesn't grow as fast. Awesome!!! I'm thinking of big chopping my hair in a few months when my husband and I try for baby #3. I would love to know what you used to aid in growing your hair in such a short time. It's beautiful. You look awesome in all the styles, but my favorite is the flat twist out. I tried rocking my natural curls, but it was exhausting and just took WAY too much time. Your hair is gorgeous. I'm glad to see this is working for you. Your hair is so pretty. I personally love all those twists. I need to start doing more with my hair but it can be unruly and thick. Your hair looks so beautiful and healthy. I stopped putting chemicals in my hair and dyeing it years ago and it has made a big difference. Your hair is growing so fast. I started transitioning back in 2010, and my favorite hairstyle was twist outs. What a journey! You hair does look really healthy and beautiful in all the ways! You are absolutely gorgeous in all styles lady! Can't wait to read about your hair care process! I think the crochet braids are amazing! I like the flat twist out as well, I'm glad these methods have kept your hair in good shape! Your hair looks shiny and healthy. It did grow a lot in 3 months. I am happy you have found the best hair routine to keep your locks looking great every time. You look gorgeous in all these styles, and your hair looks so healthy! I'm so into fuss-free styles too. You look beautiful in them all! I have a bad habit of doing my hair in the same way – no matter what occasion. It'll look the same if I'm going to work or if we have a fun, gala to attend! I need to add more variety! Join my email tribe and connect with me behind the scenes. Get exclusive chat access, videos, content and more! Enjoy this blog? Tell others about it!